In the second-floor lobby of Hawes Hall: a large portrait of Mahatma Gandhi by Brett Cook-Dizney, loosely sketched in gold—with a lettered text of Gandhi’s “seven deadly sins,” including “wealth without work,” “knowledge without character,” and “commerce without morality.” On a wall in the high-ceilinged, neo-Georgian Spangler Center: Radcliffe Bailey’s incongruous Minor, a mixed-media work of color blocks and one of his familiar, sepia-toned historical photographs, mounted on a high-gloss piano lid. 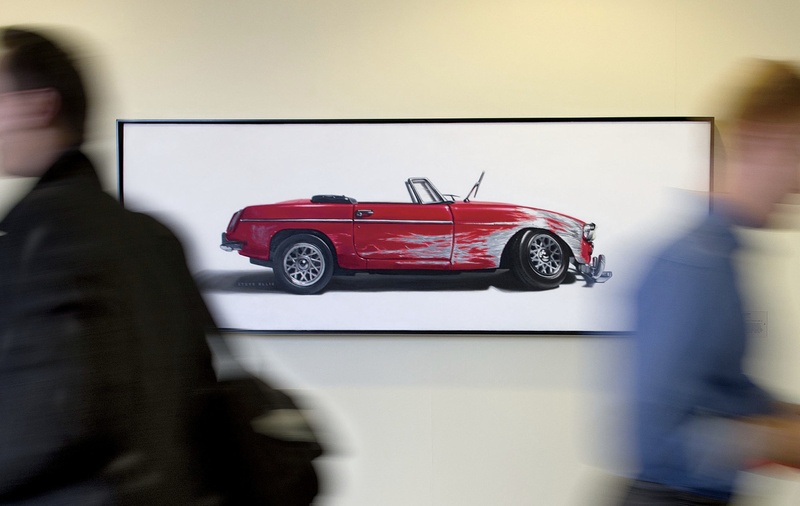 Along Aldrich Hall’s long second-floor corridor: Steve Ellis’s painstakingly detailed oil rendition of Crashed MGB—the very model of a car built for pleasure, abraded and broken, its absent driver perhaps ejected or being treated for similar abrasions. Halfway up the stairwell in Shad Hall: Whitfield Lovell’s huge Strive, a charcoal figure of an African-American woman on reddened wood, like old barnboard, with suspended boxing gloves attached. 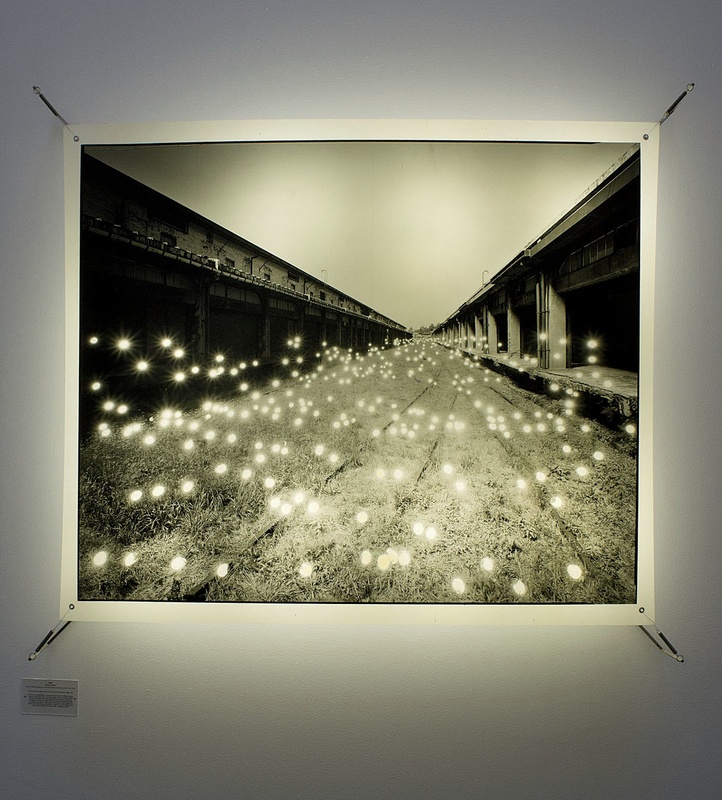 These radically heterogeneous artworks in fact have much in common. All are contemporary (Lovell’s, the oldest, dates to 2000). 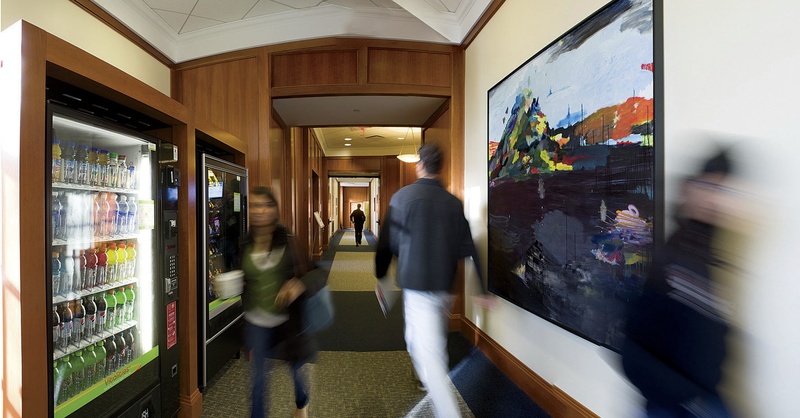 Each is on display, alongside a couple of hundred other recent pieces, in the highly trafficked corridors of Harvard Business School’s main classroom buildings (Aldrich, Hawes), student center (Spangler), and gymnasium (Shad)—where students will encounter them every day, if only through peripheral vision. And their presence at the business school reflects the very directed vision of Gerald W. Schwartz, M.B.A. ’70, founder and CEO of Onex Corporation, a private-equity and investing firm based in Toronto. As a law student, Schwartz recalled in a recent conversation, he became acquainted with a senior partner at a law firm who had built a collection of Impressionist paintings. When Schwartz saw them, he “got the bug”—making his own first acquisition, for $300, and then pursuing his passion in personal collections at his homes and in the “tons” of artworks he has acquired to display at his company: “Our offices have been enriched and people are responsive to them.” He said he loved his business-school experience, and was a regular HBS donor, but found that he wished to have a specific, focused impact on the institution. In discussions with then-dean Kim Clark, his interest in art came up, and a collecting program was born. 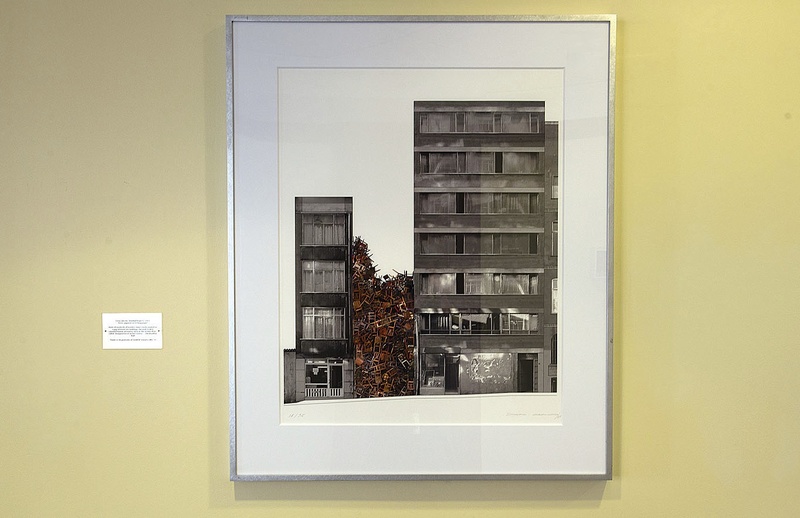 When the idea got under way in the mid 1990s, the school was embarking on a campus master plan and subsequently pursued a significant program of renovation (Aldrich) and new construction (Spangler, Hawes)—creating perfect venues to display art. 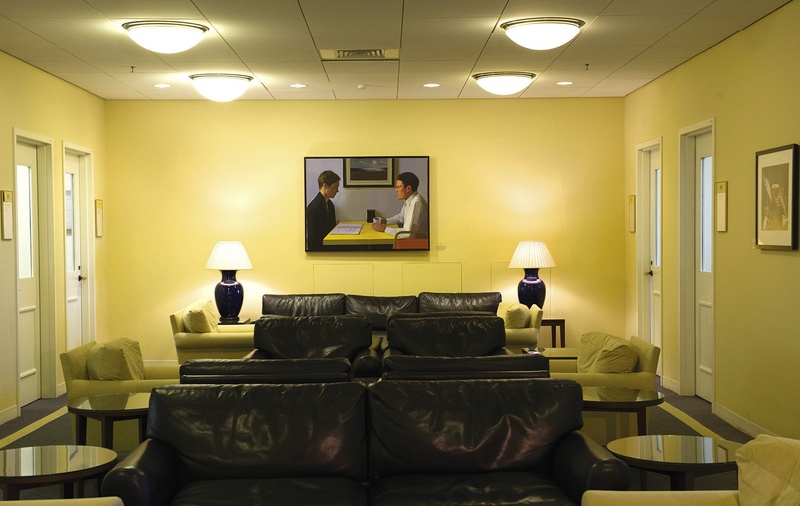 At the same time, said Sharon Black, HBS’s director of planning and now the very part-time steward of the collection, the increasingly diverse student body had commented, not favorably, on the portraits of eminent faculty members of yore that were the main decorative element in many public areas. Nor is it, like some private collections, an investment. According to an HBS Alumni Bulletin report, most purchases cost a few to several thousand dollars apiece. 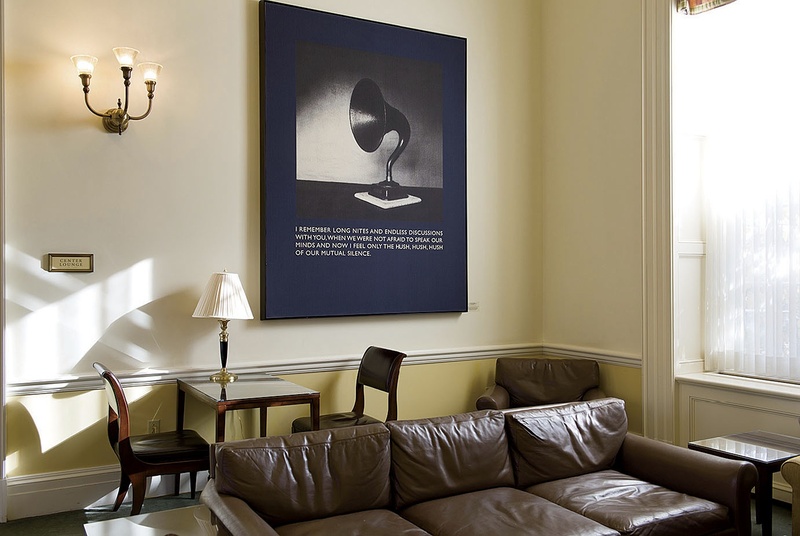 A few of the artists, like Carrie Mae Weems, became famous after the Schwartz collection acquired their works (never the other way around). Nothing is to be sold—and no one is calculating an ROI. But returns there have been. 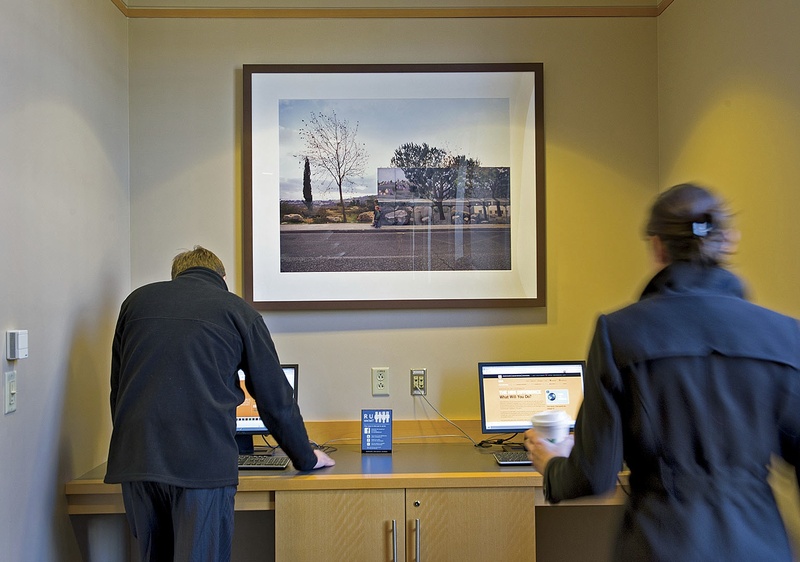 Around the campus and among staff members, Black said, “People are much more aware of art when their surroundings are sparse” and ask for it in or near their offices. (HBS doesn’t provide artworks for such personal uses—yet.) 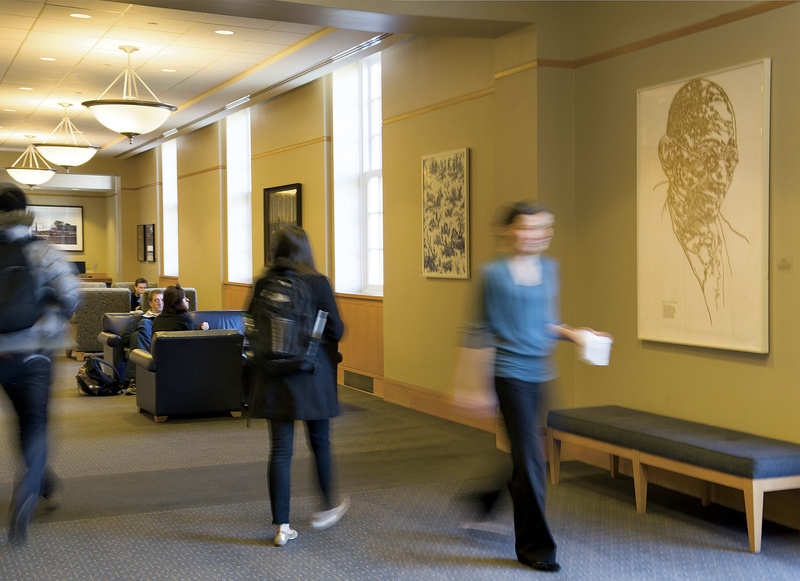 There is a pervasive sense, she said, that “art has a predominant place at the school”—and those remaining faculty portraits are now in the care of the library’s historical collections. The student Art Society sponsors behind-the-scenes visits to New York galleries and museums, a trip to Art Basel Miami, and a student exhibition. The Schwartz collection has even come to figure in the M.B.A. curriculum. 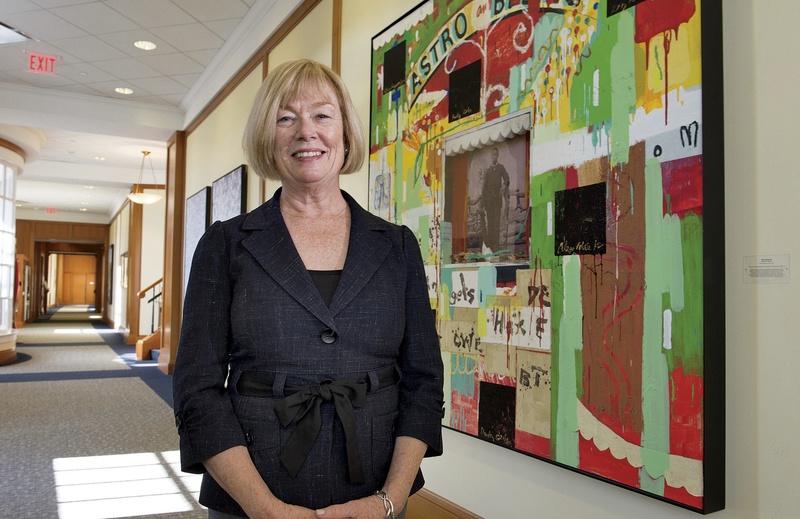 During this fall’s iteration of “The Moral Leader in Literature, Film, and Art”—a course designed to introduce understanding of other people and their ideas—Sandra J. Sucher, MBA Class of 1966 professor of management practice, arranged for the first time to draw on the HBS holdings for her late-October session on visual arts. With the help of professional art educators, students examined and analyzed eight works. As they discussed Doris Salcedo’s Istanbul Project 1—the maquette for a cascade of hundreds of wooden chairs piled high between two modern buildings, evoking victims of violence in her native Colombia and in Turkey—some of the participants drew on their prior viewings of (and questions about) the work as it hung in Aldrich Hall. Sucher observed later that engaging with the art had caused the students to confront ambiguity, assemble elements of meaning, and draw upon each others’ diverse perspectives to tease out both factual interpretations and the very real weight of emotion in their responses.